Arizona is a Hybrid Tea rose. 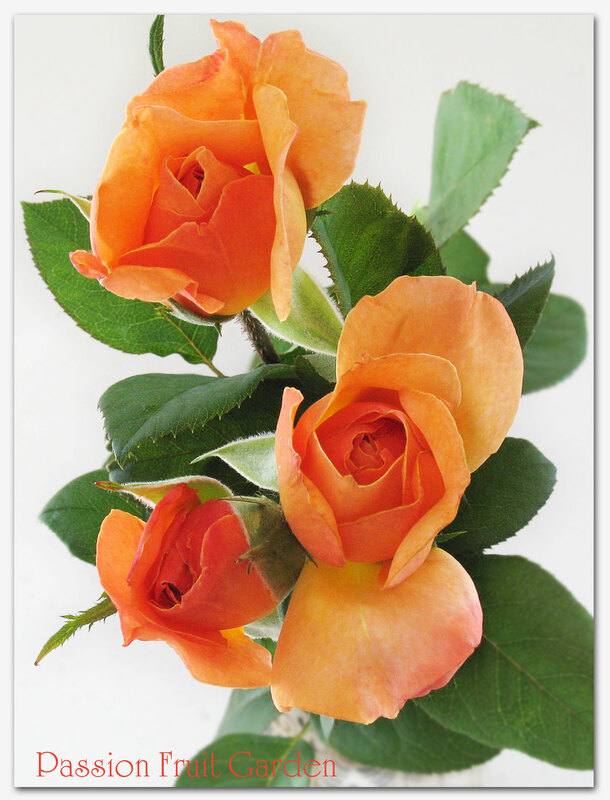 According to Botanica’s Roses, the colour of Arizona’s blooms varies according to location. The colour is described by Botanica as follows: The base colour is coppery orange, with salmon-red towards the petal edges and yellow in the petal depths; the tones are richer in cool climates. The catalogue from where I bought my Arizona describes it as gold, copper and orange which seems a pretty good description of the rose in the head photo. The colour is pretty rich in our warm temperate climate so it must be quite magnificent, if it is indeed richer, in cool climates. The flowers are of medium size, and described as shapely high-centred blooms of Hybrid Tea character but I can’t see it. To me, they are more informal (which is not necessarily a bad thing). The blooms are listed as fragrant, so I gave mine a good sniff this evening to verify it. It is indeed fragrant, though only lightly so. The bush has the typical Hybrid Tea look, ie a bit leggy and not overly clothed in leaves. We have just had two days over 40°C and neither the blooms nor the bush is scorched in any way. Clearly, it copes very well with the heat. The bush is very healthy and there is no sign of black spot (though it is not the time of year that black spot would normally be a problem). Botanica does advise that it is sometimes affected by fungus; maybe this is the case in cool wet climates. My bush is about one metre tall. The plant has upright growth and crisp dark green foliage. Arizona was bred by Swim and Weeks and released in 1975. In the USA, it is regarded as a Grandiflora. This entry was posted in Bush Rose, Hybrid Tea Roses, Rose of the week and tagged Hybrid Tea Roses, Yellow and orange roses by Glenda. Bookmark the permalink. So many times I see your title and think… “What, Glenda’s in Arizona?” But I’m catching on. So many tines I see these roses and want to make a dress or decorate using the colors. Hi Diane, I wish I was in Arizona- it would be nice to have a holiday. Hey, with our weather right now I wish I was in Arizona although Hawaii sounds just about right. Another stunner, Glenda… I think I have one similar to this. 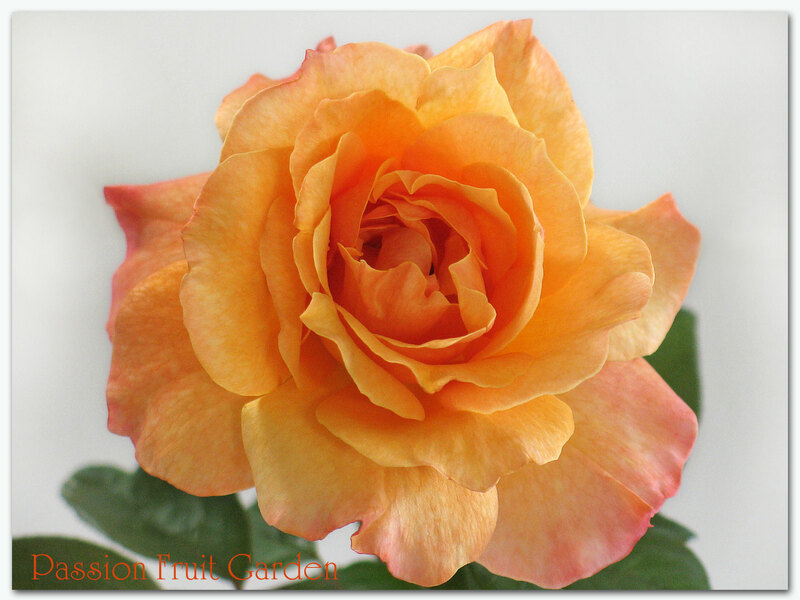 I used to have a gorgeous tea rose, somewhat like this one, called Tropicana, from Jackson & Perkins, & soooooo gorgeous. It lived in my old garden for 10-12 years, & brought beauty & joy. I checked out Tropicana. It sure is beautiful. No wonder it gave you such joy.